This was asked as a question on Experts Exchange this week, and it got my interest. A quick search turned up a bunch of posts that said, yes this is possible, and you deploy it with FreeRADIUS and it works great. The problem was, a lot of the information is a little out of date, and some of it is ‘wrong enough’ to make the non-technical types give up. But I persevered, and got it to work. 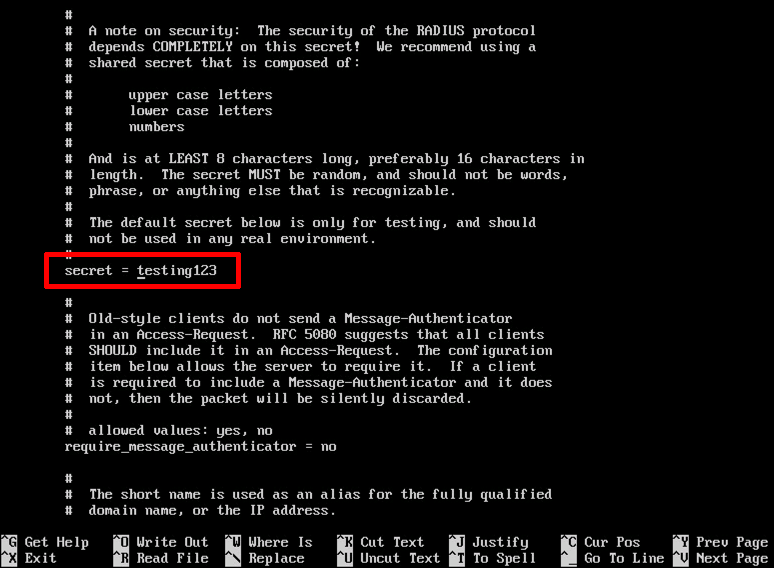 So before proceeding I’ll assume you have AnyConnect setup, and you can connect with a local username. Disclaimer 2: Please don’t email me with questions like, “Can I take this and integrate it with Active Directory, eDirectory” etc. 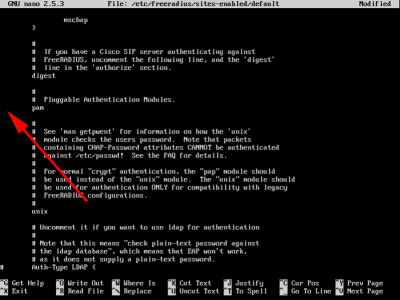 Or “I’m trying to get this to work with ‘insert name of some Linux distro” and I’m getting an error. Prerequisite: You will need to have the Google-Authenticator app on a device, (probably an IOS or Android phone), and have that running, and ready to accept a new identity/account. 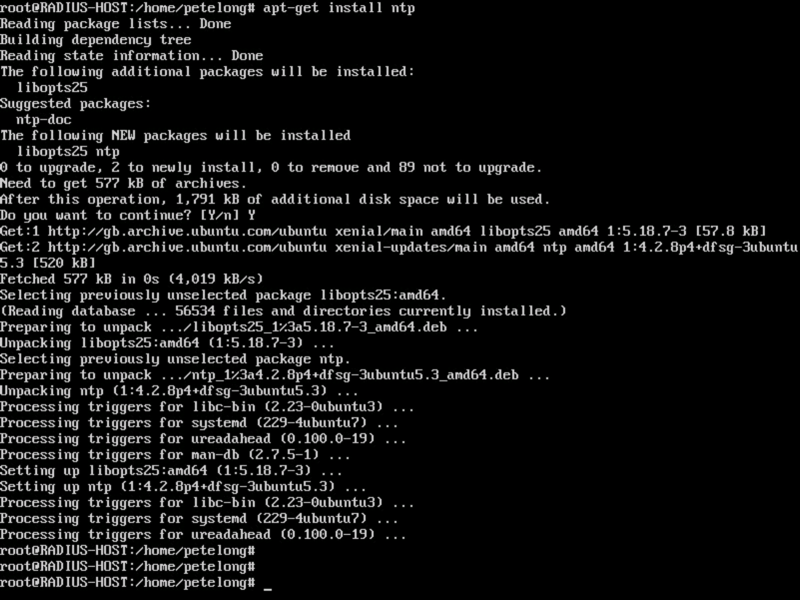 I’m not a Linux guru, I just downloaded the latest version of Ubuntu Server (16.04.1 at time of writing). 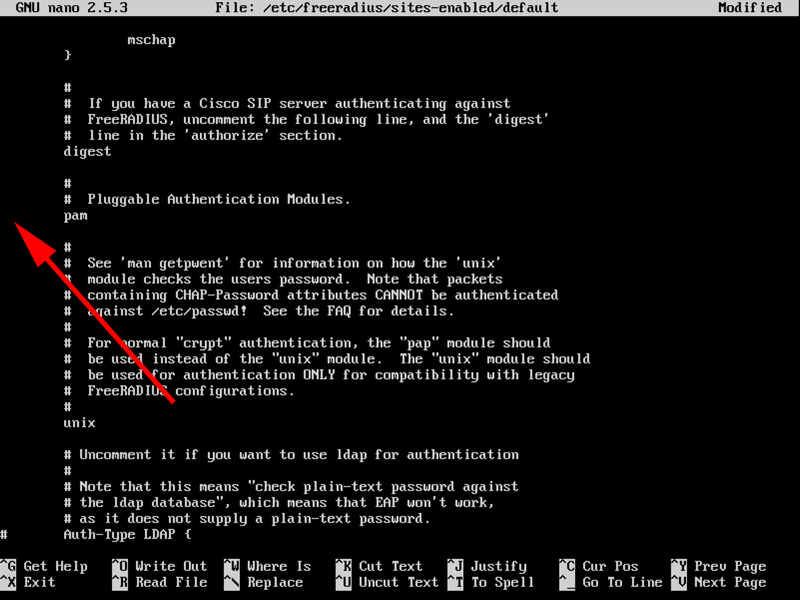 and deployed it as an ESX host. Non Linux Types Note: A lot of the commands below require you to either be logged on as root, or ‘su‘ to root, (if that’s not an option, you will need to prefix the commands with ‘sudo‘. Ubuntu Enable Root Account: I quickly learned that these days the root account is disabled, (for sensible reasons). 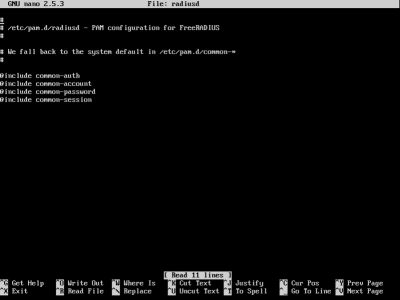 However because of the way FreeRADIUS works, it needs to run under the root account. 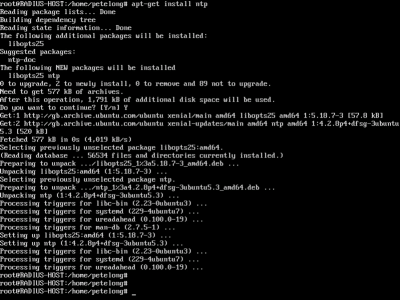 Ubuntu: Install Prerequisites: We need to get all current updates, then install NTP, (because the authenticator keys are time specific). 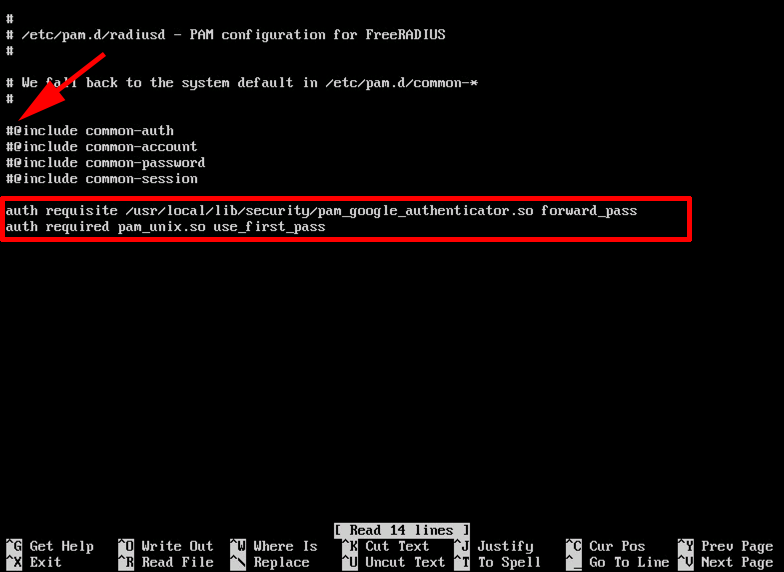 Then there are some tools that we will need to install the Google Authenticator software. 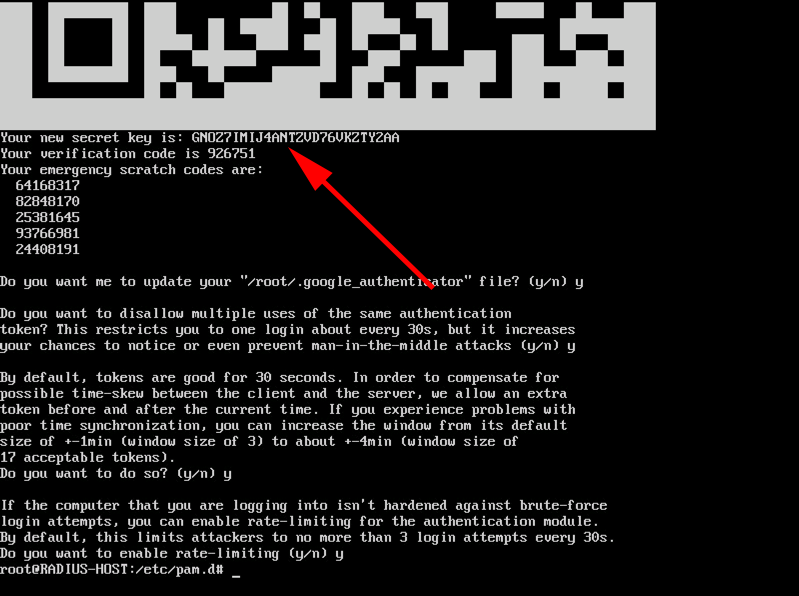 Install Google Authenticator: This is quite cool, (if like me you don’t do a lot of Linux). We need to connect to a folder on a web server, then move into that ‘Directory’ and install the software. Ubuntu has nano installed by default thats what I’m going to use, if you’re a sandal wearing ‘vi’ user, then feel free to use that instead. 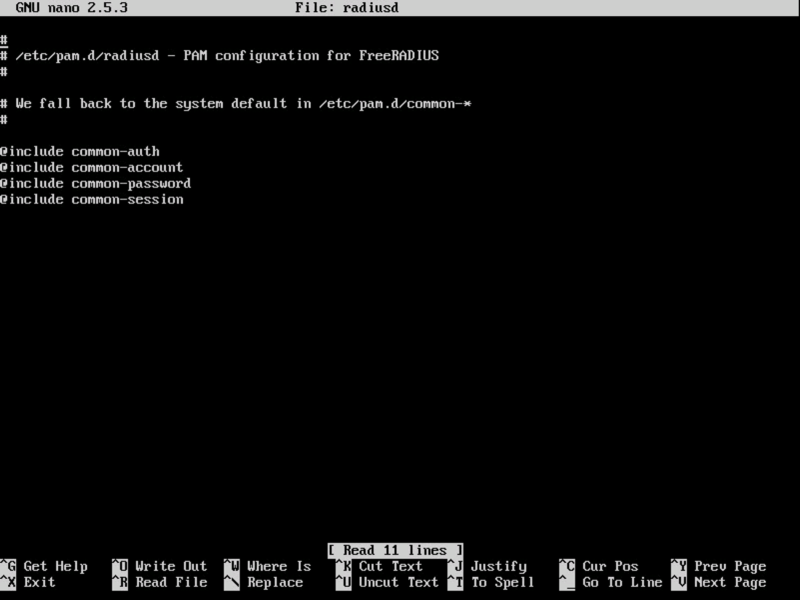 First we are going to change FreeRADIUS, so it runs under the ‘root’ account. 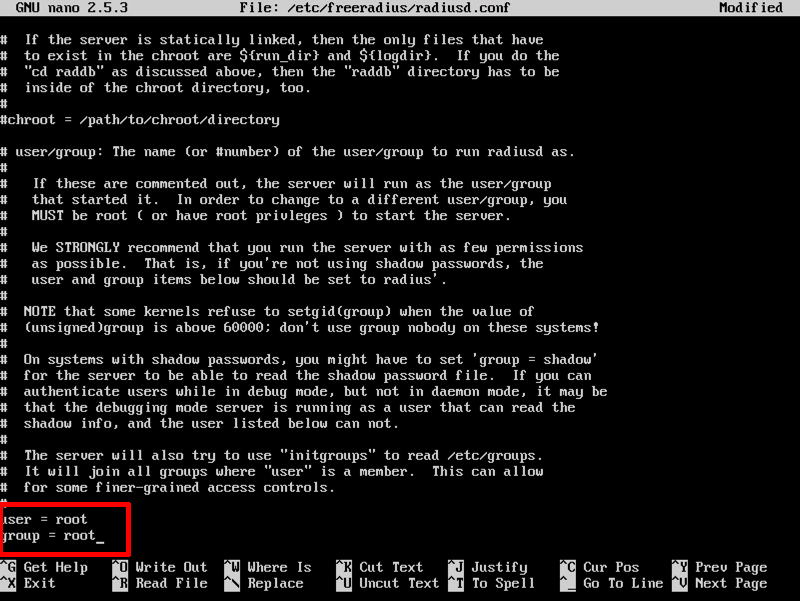 At the bottom of the file, change the user and group from freerad to root, save the file and exit. Next we are going to create a group called radius-disabled, then if you need to deny a user access, you can simply make them a member of this group. Then configure FreeRADIUS to reject members of that group. 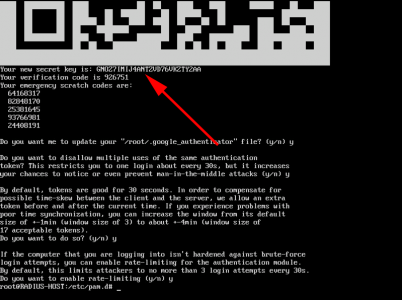 Now you can either scan the QR code into the Google Authenticator app on your phone, or type in the ‘secret-key‘. 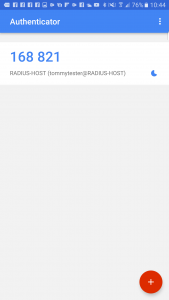 Note: the password for tommytester is ‘password‘ and the 6 digit code is added to the end of it, the testing123 value is set within FreeRadius in the /etc/freeradius/clients.conf file. Troubleshooting: If there’s a problem, make sure that the time on the FreeRADIUS server is correct, (is NTP getting blocked at the firewall?) 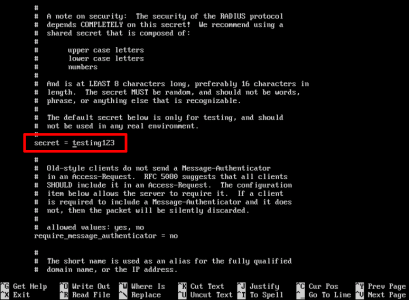 Then what I do is, SSH into the server from another session, and enable debugging, then back at the console test authentication again, then you can see the debugging output on the other screen, which will point you in the right direction. 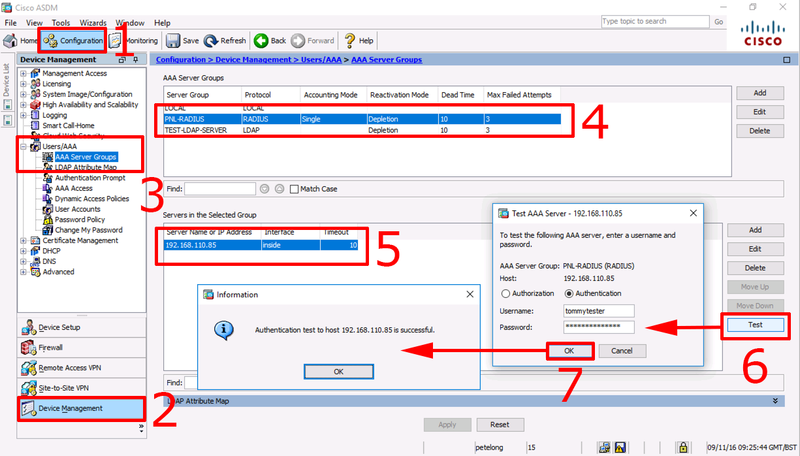 On the ASA you create an AAA group, set its authentication type to RADIUS, then add the FreeRADIUS server as a host, specify the secret key you used above. 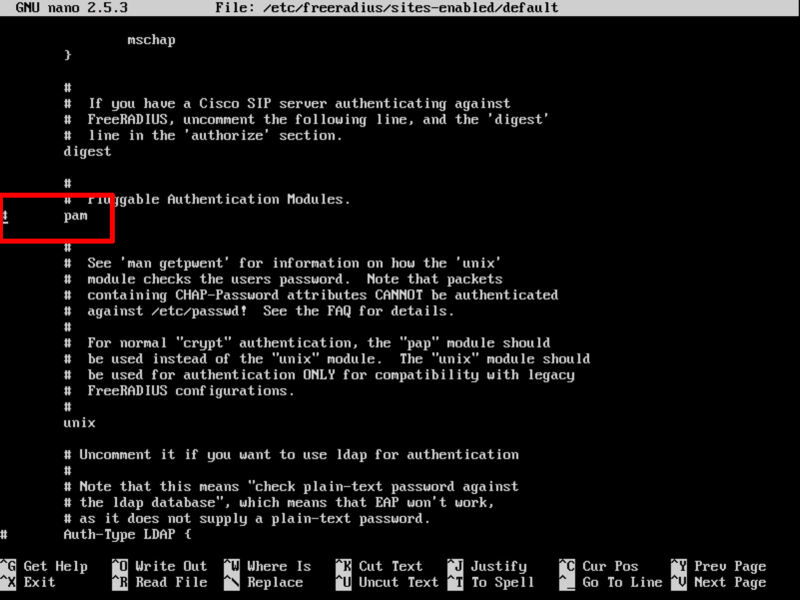 REMEMBER you need to specify the ports or authentication will fail, (you get a no response error). 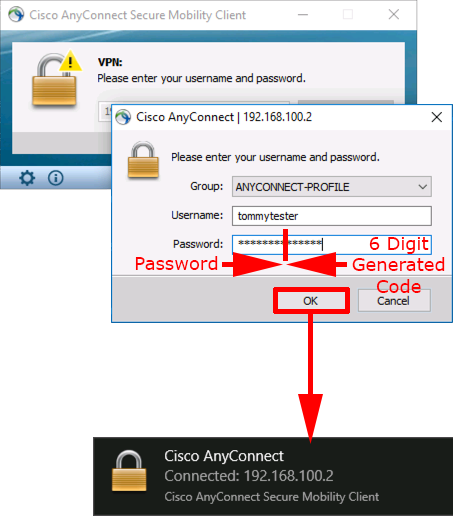 Change AnyConnect AAA Authentication Method: With nothing set, your AnyConnect is probably using its LOCAL database of usernames and passwords, we now need to change it to use the RADIUS host we just setup. You do that in the AnyConnect’s ‘tunnel-group general-attribures’ section. 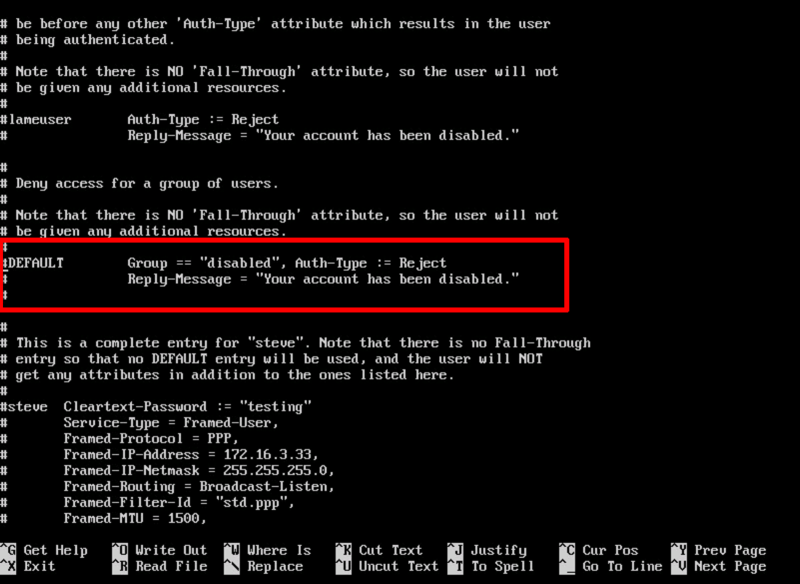 Issue a show run tun command, to see the tunnel groups listed. 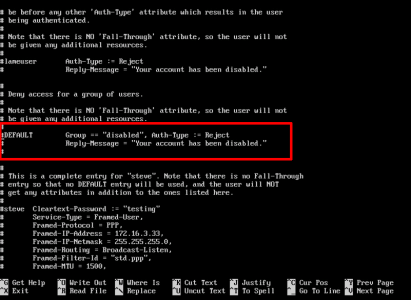 Then add your RADIUS GROUP as the authentication server. Remember that the password will be the user password, followed by the 6 digit number displayed on the authenticator. 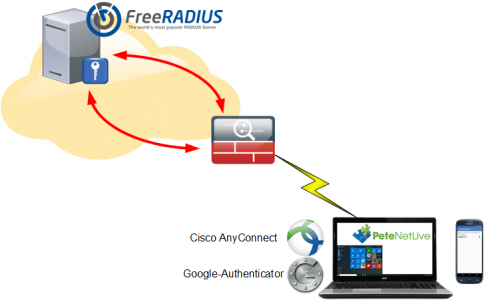 Finally you can test authentication from your remote AnyConnect client. look easy enough with your detailed instructions. 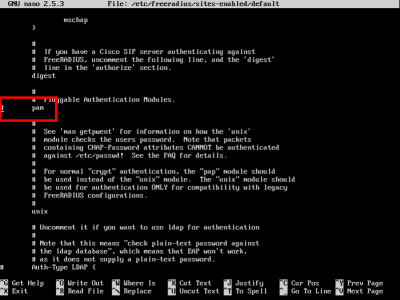 What if you needed to create a VPN user that was required to NOT have 2 factor authentication? 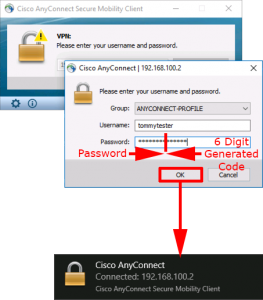 Create another connection profile that uses another aaa method. Thanks for this write-up, it’s most helpful. I’ve run through it on a couple of Mint VMs for test environments now, one worked fine but the other reported it couldn’t find aclocal when running the bootstrap.sh. The resolution for this was to install the automake package as well. 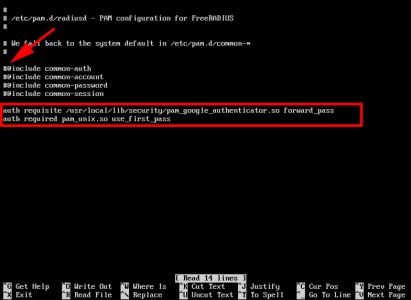 I did this step “git clone https://github.com/google/google-authenticator.git” and tried to get in libpam directory. But there is no such directory and when I open github there is not as well. which version of anyconnect client you use? This was done with v4 I think. Thanks for this great post. I configured to use FreeRadius + MS Active Directory + Google Authenticator to authenticate the VPN users. My question is, is there a good way to let user to generate the QR code themselves? Like go to a link and generate by clicking on the URL. 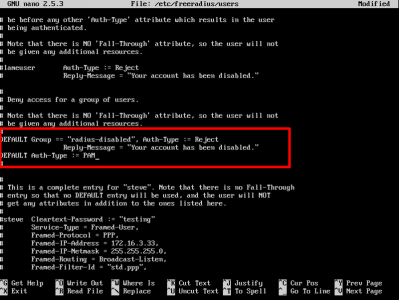 currently I had to ask users to login to FreeRadius server using the command line to generate the codes. Any suggestions? thanks.